Wix isn’t just one of the biggest website builders on the market – as we found out in our tough reviews and testing process, it’s also the best of the bunch. Central to its strong performance in our testing were Wix’s competitive pricing plans, which start from just $5 per month. Of course, Wix saves some of its best features for its more expensive plans. The Unlimited plan, Wix’s most popular offering, starts from $14 per month and gives you a noticeable bump in the number of features available. In this guide, we’ll run through all of Wix’s pricing plans in detail and find which one is right for you. Wix offers three pricing plans designed for websites, another three plans designed for online stores, and a free trial. Should You Use the Wix Free Plan? You can easily build a website with Wix’s free plan. The free plan lasts indefinitely, and unlike some rivals, it’ll actually allow you to publish your site. Your website won’t get a proper URL. Expect the name of your site to be followed by a string of letters and numbers, or something similar. This will make your site look unprofessional and severely limit its visibility in search results. Adverts. No one likes them, especially online – and unfortunately, with a Wix free plan, your website will be covered with them. This will slow your site down and make it look unprofessional. Limited bandwidth. The free Wix plan will limit the number of visitors that can access your site in a month by restricting your site’s bandwidth. This means that some people literally won’t be able to access your site because of the pricing plan you’re using. Features. While you get access to the core website builder tools for free, some features are reserved for the premium plans. For example, you can’t put videos on your site, and you’ll be limited to less than 500MB of storage – hardly enough to get by. Everyone likes a bargain, but a free Wix website isn’t one. It simply doesn’t have the features which will help your website grow and succeed. Plus, the premium plans only cost a handful of dollars a month. Find out more — Is Wix Really Free? You’d be forgiven for thinking that if you want to make your site as good as possible, you need the most expensive Wix pricing plan. However, not all sites need the same features: for example, there’s no point in shelling out for an online store plan if you want your site to work as an online portfolio. We’ll run through different types of websites and which pricing plan would work best. This plan will give you a proper URL, or lets you connect your Wix site to a domain you already own. You’ll get access to Wix’s excellent roster of website building tools, including the drag-and-drop editor, website templates and more. It also removes adverts and gives you 3GB storage and 2GB bandwidth. You’ll also be able to upload up to 30 minutes of HD video. If you buy the Combo plan for a year, you’ll also get a free domain voucher. You could run a brilliant website with the Combo plan, but it probably isn’t ideal for high-traffic sites given the 2GB bandwidth. According to Wix, the Unlimited Plan is their most popular offering, and it’s not hard to see why. You get unlimited bandwidth, 10GB storage, and you can upload up to an hour’s worth of video. There are no adverts, plus you’ll get access to the Site Booster and Form Builder apps, which will help attract visitors to your site and let you build custom forms to capture information about them. It’s not too much of a price hike over the Combo plan, and it’s probably worth the small increase in outlay given the extra visibility your site will get. Again, buy the plan for a year, and you’ll get a free domain voucher. The VIP plan is the most expensive Wix plan, if you don’t need ecommerce functionality. Storage is doubled to 20GB, as is the amount of video you can upload. Beyond the Unlimited plan, you also get 10 email marketing campaigns per month, “priority” support response in case something goes wrong with your site, and the ability to skip the line with phone support. It’s not really clear who this plan is aimed at, given that many of the features are so similar to the Unlimited plan. All the packages above require you to pay for a domain on top of your website plan. Typically, a domain will cost somewhere in the region of $15-25 per year. A quick bit of math will tell you that the annual Wix plans, with domain voucher thrown in, are typically cheaper than paying month-to-month and getting a domain separately. After a year, you’ll need to pay $14.95 to renew the domain. Having your own domain is definitely worth it in the long-run, as you’ll get a proper URL and the ability to have custom email addresses. If you want to use Wix to create an online store or an ecommerce website to sell physical or digital products, you’ll need to use one of Wix’s Business & Ecommerce plans, rather than its regular website plans. There are three on offer: Business Basic, Business Unlimited and Business VIP. They’ll all let your site accept online payment, and won’t charge you any commission fees on products you sell. A Wix online store would be great for a small business, perhaps with an existing bricks-and-mortar presence, which is looking to expand online. It’s not as suitable for larger businesses, as it lacks some more complex accounting and product management tools. 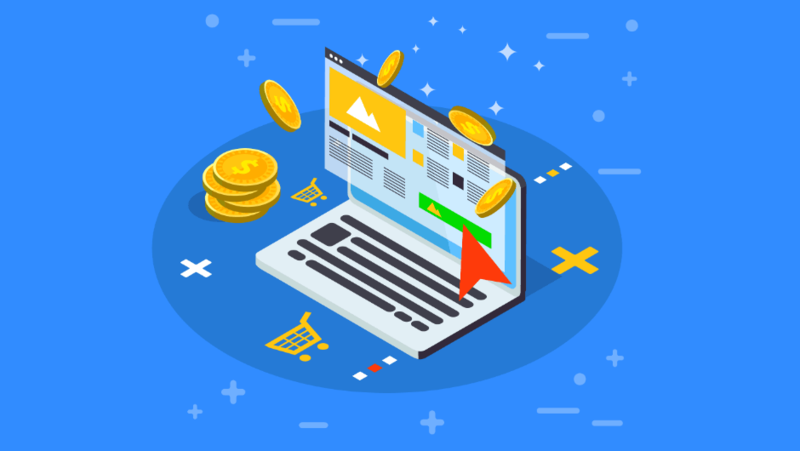 If you’re not sure which ecommerce platform is right for your business, take a look at our Best Ecommerce Website Builders guide. We've Tested the Best Website Builders Around – Which Comes Top?